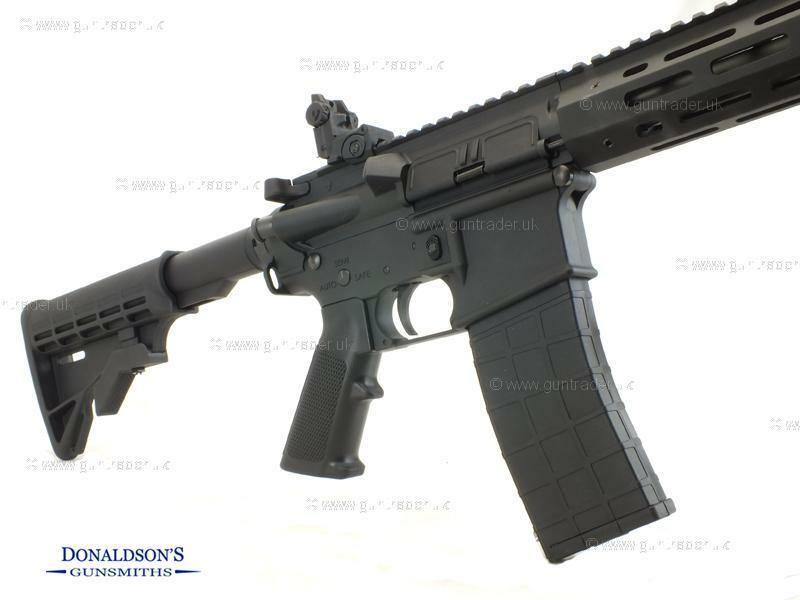 A fantastic M4 based copy in .22 L/R come with flip up sights,M - lock forend, 2x25 round magazines, adjustable stock, hard case. 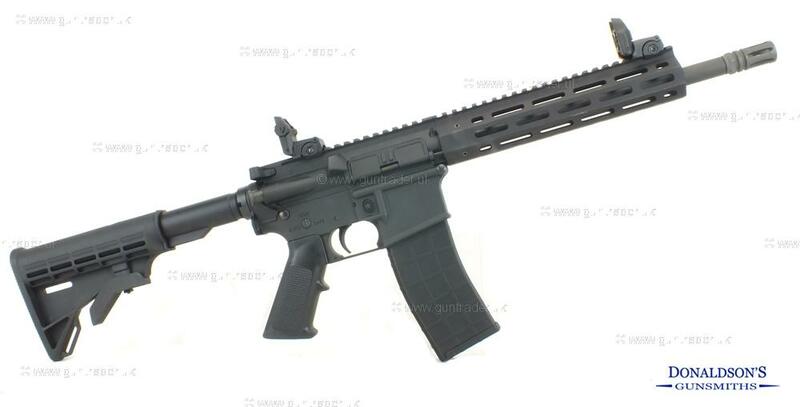 Based on an AR platform - full metal chassis, it is one of the nicer quality 22 semi-autos on the market. The Pro model features a synthetic lightweight forend, nickel coated bolt and a larger pistol grip. Purchase with confidence from a family run business with 30 years experience. For further inquiries on this gun please quote reference number 116.